Trecini Winery, a boutique winery, where the wines possess lower alcohol content, allowing for true varietal and softer undertones. We believe the grapes should express themselves without excessive manipulation, therefore letting “the wine speak for itself“. 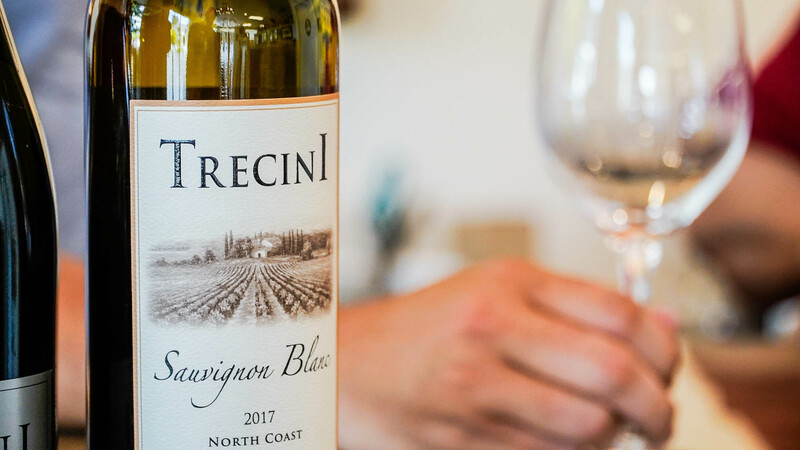 Trecini has grown into a premium wine company offering multi award-winning varietals of Russian River Sauvignon Blanc, Estate Russian River Pinot Noir, Russian River Merlot, Russian River Late Harvest Sauvignon Blanc, and Rockpile Zinfandel, and a Sparkling Zinfandel. They continue their sustainable vineyard philosophy, spare no expense on a well-managed barrel program and produce a lower alcohol wine that brings out the beauty of the wine delighting the consumer’s palette making their wine memorable and creating a thirst for more.